The monumental statues of the Easter Island, known as moais, are one of the most fascinating exploits attributed to mankind. How did a handful of sculptors, tucked away on a miniscule island, ever manage such a feat? Isolated from the rest of the world, they built more than 800 statues, each weighing several tons with certain measuring nearly 10 meters tall. Cooperation between the tribes, innovative use of wood and their earnest hard work are certainly part of the explanation for their incredible feat. These stone giants are one of the rare vestiges of a highly refined civilization, the Rapanui, who prospered for more than a millennium in peace and tranquility. 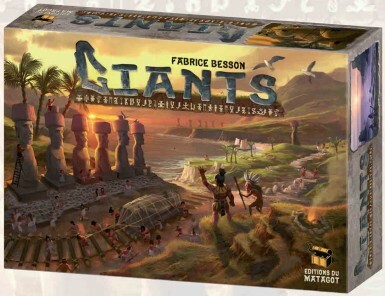 Now it's your turn to relive their inspiring adventure as builders of the moais!